Fragrant and fruity, aromatic wines are becoming an increasingly popular choice. 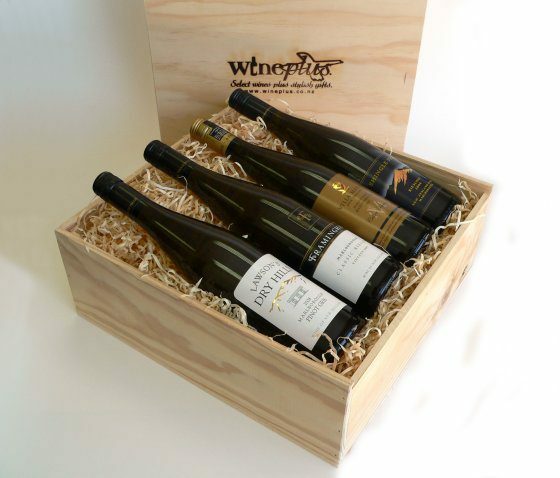 Starting with a Huntaway Reserve Pinot Gris and a Main Divide Riesling, add two more bottles of your choice to complete the pack. Made with a blend of pinot gris from some of Huntaway’s finest vineyards their reserve pinot gris shows a lifted bouquet of pear, spice and ripe stonefruit with musky, floral hints. An underlying savoury complexity leads to a lingering, spicy, off-dry finish. Main Divide Riesling was picked late to make a rich ripe style. It shows the typical Waipara Valley characters of orange zest and spice. Gentle handling in the cellar allows us to retain some of the natural CO2 from the fermentation to give a touch of “spritzig” which accentuates the freshness. This wine will reward careful cellaring. Serve cold. 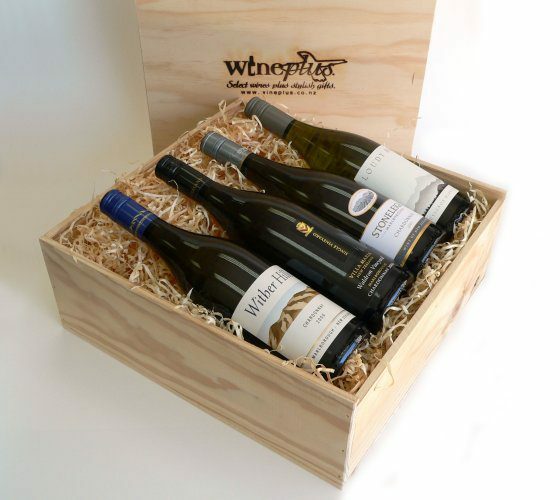 Champagne is a perfect addition to this gift box.